Phew! I am not sure why, but that no requests thing I did in November doesn't actually seem to have made much different to the number of new book I have to pick up at the library. It is always the way isn't it though - all the requests come in at once. One Dance with a Duke by Tessa Dare - Time to start Tessa Dare's second trilogy. I really enjoyed her debut trilogy and the reviews on her latest series are good too! 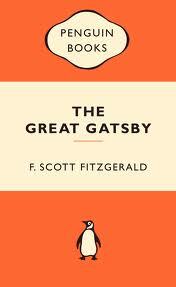 The Great Gatsby by F Scott Fitzgerald - This is a reread for me, and is my January book club book. The Winding Ways Quilt by Jennifer Chiaverini - It's been an eternity since I read one of the books in this series. I have heard good things about some of the later books in the series so it is time to get back to it. 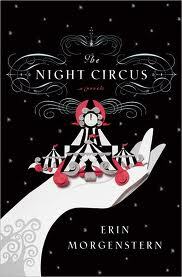 The Night Circus by Erin Morgenstern - Lots of hype around this book. I had requested as soon as this book was added to the catalogue but it seems to have taken an awful long time to get to me. 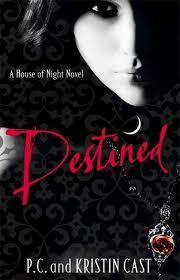 Destined by PC and Kristen Cast - Why do I keep reading this series? I really don't know. 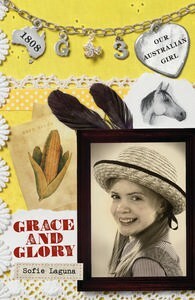 Grace and Glory by Sophie Laguna - the next book in the Grace series of Our Australian Girl books. Nice selection, esp. The Night Circus. I love the quilt series, hope this one is fun too. And that Night circus keeps popping up as well. Is it spec fic? The Elm Creek Novels by Jennifer Chiaverini are a real favourite of mine - just love 'em! I can't wait to hear what you think of The Night Circus! I can't wait to hear your opinion on The Night Circus. It's a wonderful book. No loot for me this week. Trying to wrap up what I have to read for 2011! Enjoy The Night Circus! Looking forward to your thoughts on the Night Circus! I've seen a mix of swoons and 'meh' sort of reviews. Fun loot! You know I love Tessa Dare--One Dance with a Duke was a pleasure. Hope you enjoy it! I hope to read all of Tessa Dare's previous books after loving her newest one! I loved The Night Circus, but a lot of my friends didn't. I'll be watching for your thoughts! Add me to the chorus of people who can't wait to hear what you think of The Night Circus. It sounds like fun!